Great post! Very nice property, good luck to you getting it sold! 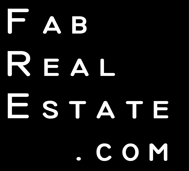 Post © 2019 Don Fabrizio-Garcia, Owner/Broker/Trainer - Fab Real Estate (Fab Real Estate). Design © 2019 ActiveRain, Inc. All rights reserved, Inc.